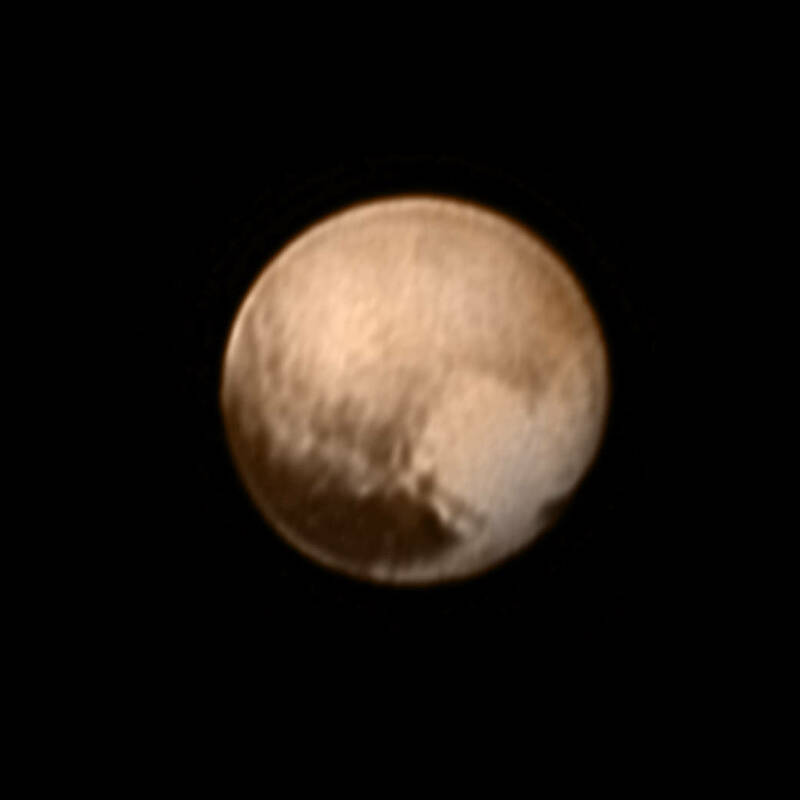 Finding Pluto | All about Clyde Tombaugh, the discovery of Planet X, and the business of hunting for the invisible. From the New Horizons mission page at NASA, these spectacular shots — our newest information about our most distant world. And the old human instincts, at seeing something previously unseen, to wonder and rejoice. We’re still 3.3 million miles out. Closest approach, in three days’ time — 7800 miles. Let’s not forget H.L. Blood’s role in the discovery of Pluto! I mean, it’s true that she suggested it, but so did about a billion other people. Why does Venetia get the credit? Well, I have a theory. Here, for the record, are some letters and telegrams from just a few of the other folks who had the same idea. I have read in the paper the account of the finding of the new planet and being interested I would like to suggest the name of Pluto. I chose this name because I believe this planet is as important as Neptune or Jupiter and deserves the name of the third brother. I suggest the name “Pluto” for the new Planet. “Atlas” is inappropriate as are others I have heard. The major planets are all named for the ancient gods. Saturn, the father of the gods, has the most distinctive world and two of his three sons are honored, Jupiter and Neptune, now in all fairness let us give the other, Pluto, his due. As Pluto was Lord of the dark region of the dead, so this planet so far from the source of light should receive his name. Do not break the beautiful system and catalogue the new world by a name which has no real reason in it and will mean nothing to the future generations. Let us not do something for which we will have to apologize in future. 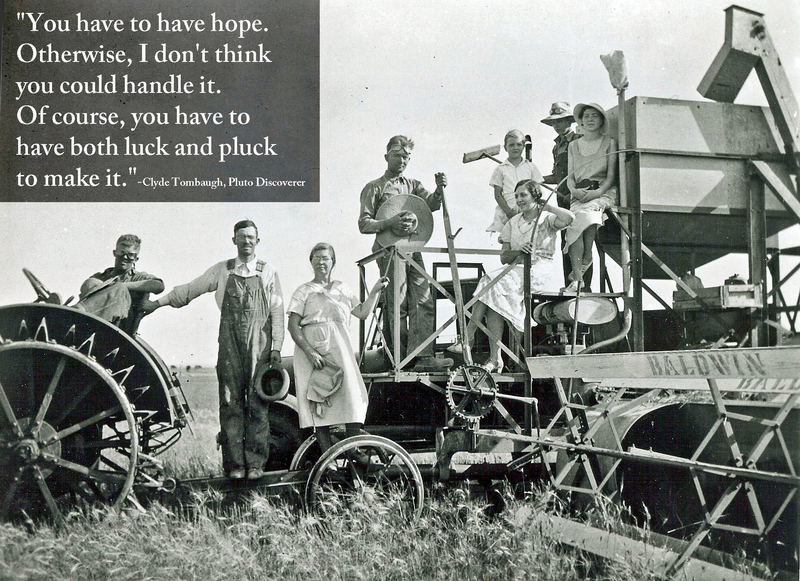 Amazing photograph of Clyde (standing, mustache) out on the farm in Burdett, Kansas. Click the image to get the full-sized version. Writing about Clyde’s days at home was one of the great pleasures, and challenges, of Percival’s Planet. Roger Putnam has written me about the intensely interesting observation that you are experiencing—that it may be Planet X I pray. Mr. Putnam asked me if I had any thoughts about the name. He said he had thought of “Diana”. But no. If it is not to be Lowell or Percival my choice is Zeus. 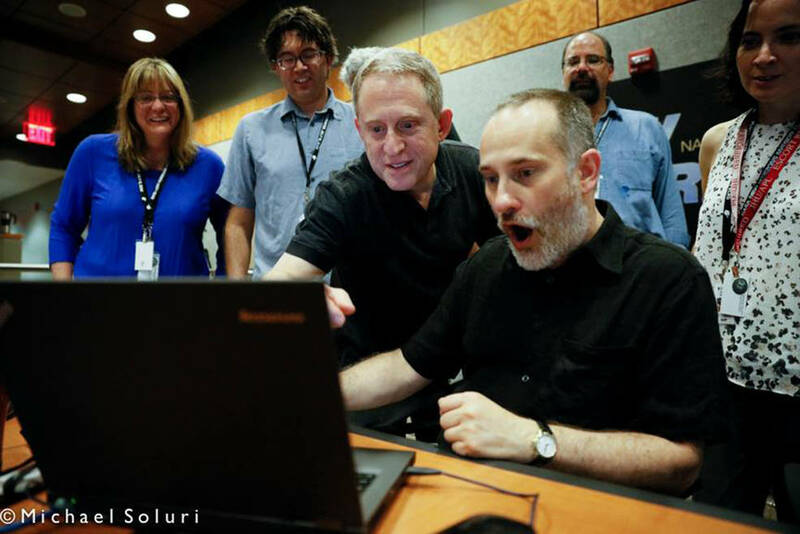 Yesterday we got the first surface resolution of Charon, Pluto’s largest (and first discovered) moon. 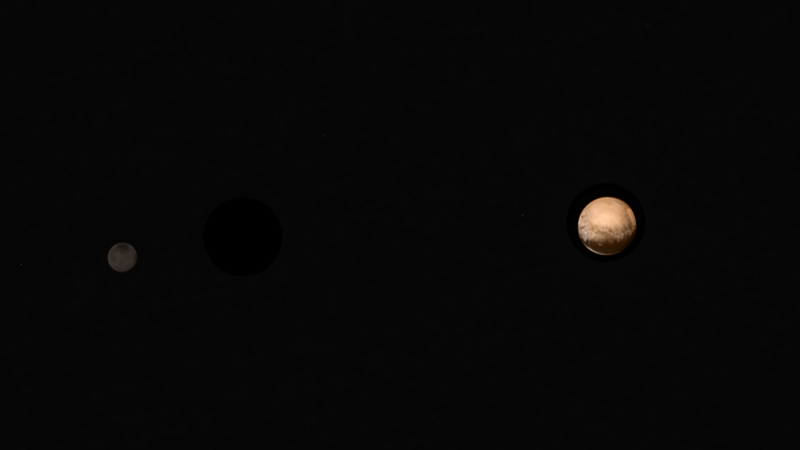 It’s hard to convey exactly how tiny the speck of Pluto is on those plates — but boy, is it tiny. 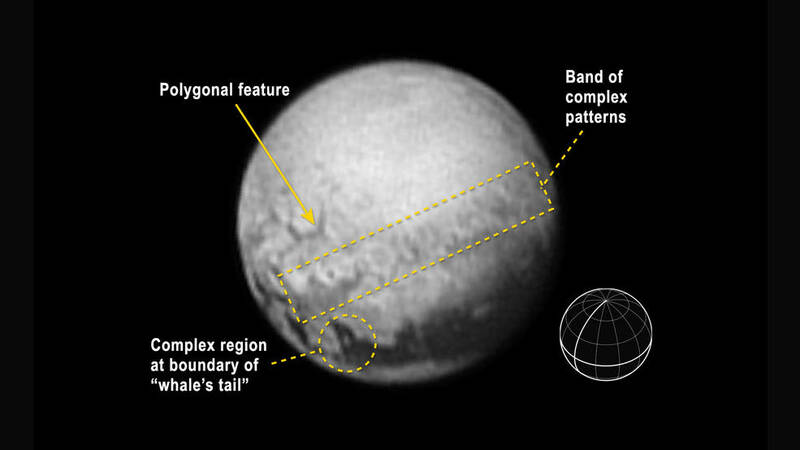 So small, in fact, that Pluto could easily have gone undiscovered for decades. Only a man like Clyde Tombaugh — diligent, devoted, impossibly obsessive — could have found it. Read more about Clyde’s homemade telescope here, and more about Clyde generally here. and what we do. A great explanatory video here from the New York Times. And this screenshot of the capsule containing Clyde’s ashes. Go, Muron’s boy! 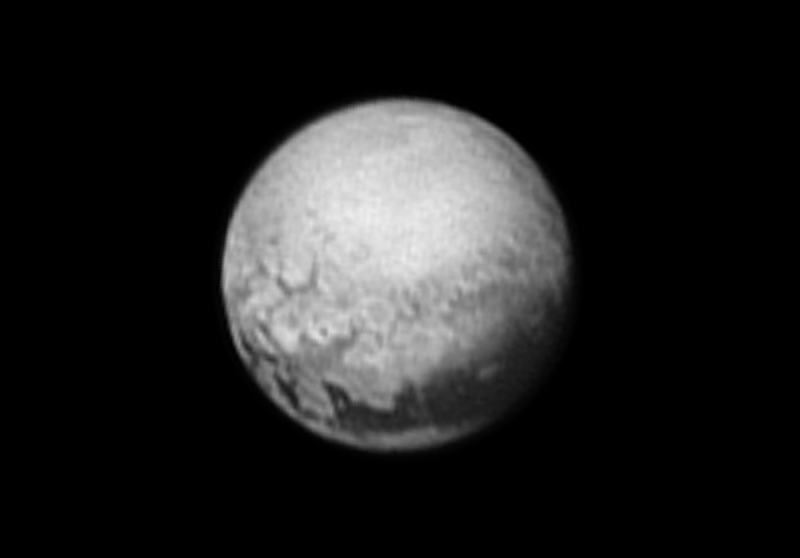 A small portion of Tombaugh’s ashes are on board the New Horizons probe.